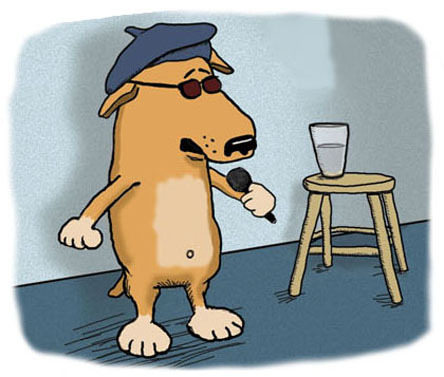 April is poetry month – so how about some dog poetry? Home / Blog / April is poetry month – so how about some dog poetry? Do you have some good poems about animals? It’s April and that means it’s National Poetry Month! It’s springtime and unless you’re livin’ in Wisconsin like me, the temperatures are rising and the snow is melting away. The grass is re-growing and all of those birds that flew south for the winter are returning to fill the silence with their songs and chirping. Since April is poetry month, we thought we would celebrate by sharing our favorite poems about animals. What’s your favorite animal poem? I don’t believe we just have two! And his powder puff tail is quite funny.